UNNExT Brief No. 2, Towards a Single Window Trading Environment – Best Practice Cases in Single Window Implementation: Case of Singapore’s TradeNet, March 2010. 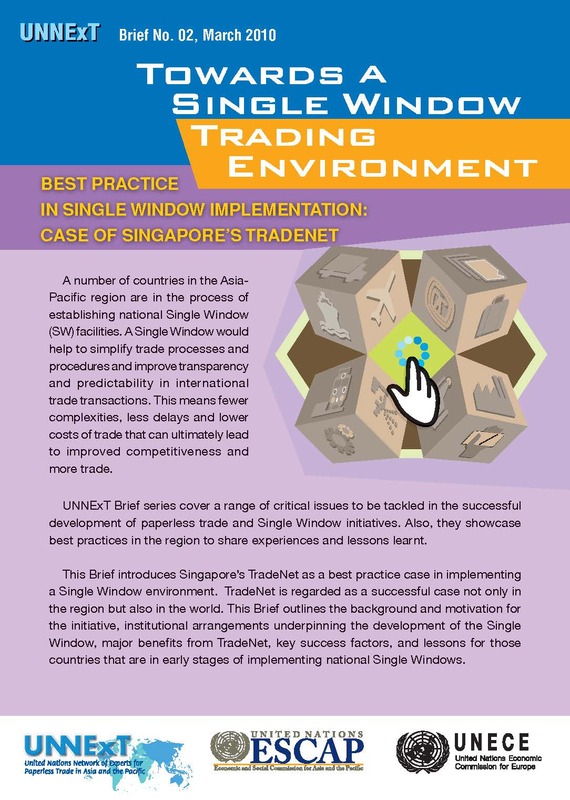 This Brief introduces Singapore’s TradeNet as a best practice case in implementing a Single Window environment. TradeNet is regarded as a successful case not only in the region but also in the World. This Brief outlines the background and motivation for the initiative, institutional arrangements underpinning the development of the Single Window, major benefits from TradeNet, key success factors, and lessons for those countries that are in early stages of implementing national Single Windows.